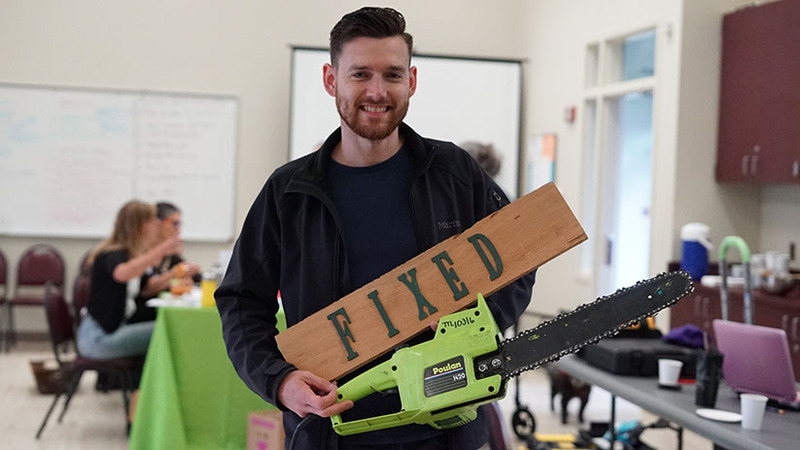 Sign up with your email address to receive monthly news and updates about upcoming Fix- it Fairs. Emails are once per month. We respect your privacy: we will not share your email. Thank you! 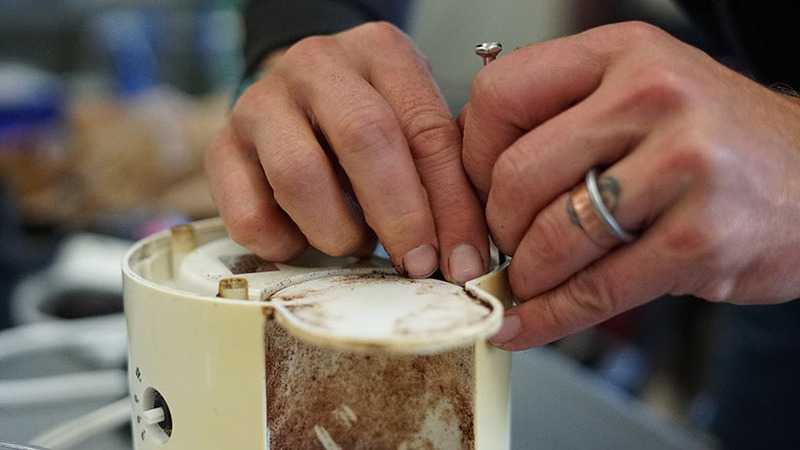 We will keep you in the loop about monthly Fix-it Fairs! 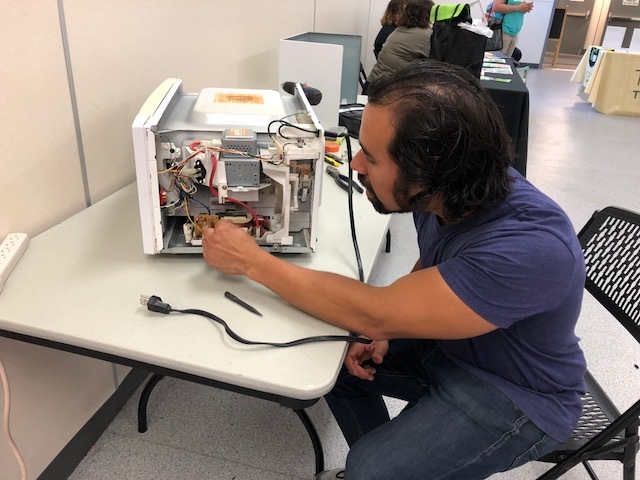 Appliance fix at the September 2018 Fix-it Fair - Photo credit: Tess S.
Electronics fix at the September 2018 Fix-it Fair. 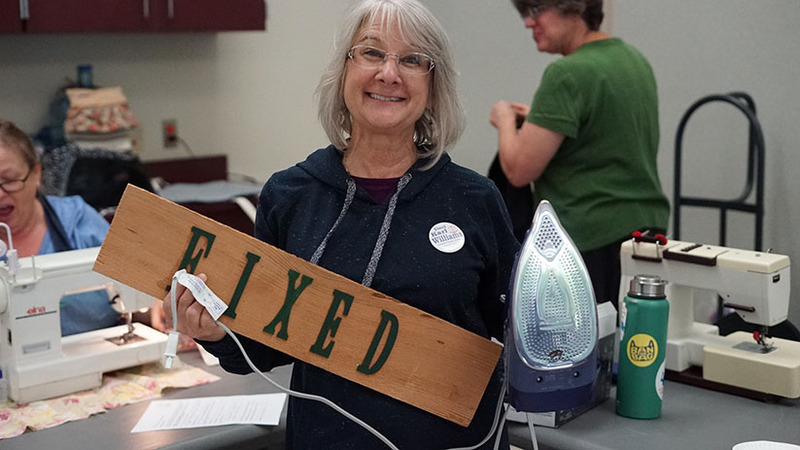 Photo credit: Tess S.
Sewing fixer at the September 2018 Fix-it Fair. Photo credit: Tess S.